Regular readers of this blog know that I often espouse a carpe diem philosophy. I talk about seizing the day, doing what you want to do, following your dreams and sculpting them into reality. But how does time fit into the equation of this free spirit paradise? I wish I believed that we could decide to follow our dreams today, and that tomorrow those dreams would be a reality. Or that we could decide to change ourselves today and be completely different people tomorrow. Or even that we could make absolute statements about what an hour of any given experience might be worth. But so often, that is not the way that the world works. Let’s say I decide I want to be a fine pianist, maybe even an exceptional one. Whether or not we subscribe to the popular notion of 10,000 hours of practice to master a new skill, I don’t think any of us would argue that it would take time, energy, and commitment to learn to play the piano. First we have to learn the fundamentals: how to read music, how to feel and count rhythm, mastering new vocabulary, how to move our fingers on the keys, etc. Then we have to learn ever more complicated pieces, build up muscle memory and finger dexterity, and discover the difference between rote playing and artistic playing. 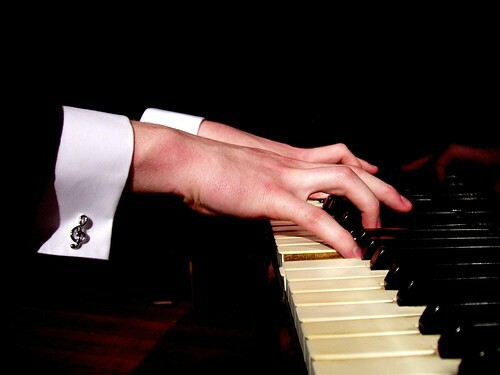 It takes years to become a very fine pianist, and even more to become exceptional. So how do we reconcile these years of effort with seizing the day? I think the answer is that we have to find pleasure in the daily tasks. While we might not enjoy drilling scales, we might find satisfaction in mastering them. And as a reward, we may allow ourselves to practice Schubert, whom we absolutely adore playing. The idea behind living life to its fullest is not that every day has to be a potpourri of incident and excitement (the people who want this are probably not going to be found practicing piano ten hours a day). It’s that you are spending at least a portion of every day on activities in which you are invested (you know, in between taking a shower and playing Angry Birds). Time is not the absolute it sometimes appears to be, and some things cannot be rushed through. Forgiveness takes time. Building a relationship takes time. Figuring out what we want takes time. Getting to know ourselves takes time. Becoming skilled takes time. Making change takes time. Sometimes a long time. And we face judgment for not accomplishing these sorts of difficult tasks fast enough. But which is more valuable–doing something right or saving time? Saving time is not always the answer. Since my mother died, I’ve had people tell me that they’re sure I’d give anything for even just another hour of her company. On the surface, this sounds like a no-brainer, especially since I was very close to my mom. But even this statement ends up being superficial. My mom spent her last week mostly unconscious and obviously in horrible pain and discomfort. Would I give anything for another hour in that week? No; in fact, I’d give a lot to avoid another hour in that week. It follows that the quality of the time is as important as the quantity. There are moments I had with my mom that I wouldn’t trade for days with her. Our society tends to teach us to value more time, save time, and avoid wasting time. But sometimes less time is more. Some tasks cannot be rushed through. Sometimes seizing the day means slowing down and doing what is needed. Should we put off our dreams indefinitely? I don’t think so, but we also shouldn’t expect them to come true without investing time and effort into them. In what dream are you putting your time? on August 30, 2011 at 9:51 am | Reply Jeff P.
As I’ve gotten older, I’ve become one of those people I swore I’d never be: too busy to have time to do the things I really want to do. A bout with cancer last spring has helped me get clearer on doing what’s important to me, but not as strongly as I’d have expected. Still too easy to fall into the old ways. I’ve been drawing cartoons for 25 years now, but have never quite made a full time living at it. Well, I’m closer than I ever was, and now I’m taking the time to make the push to get me there. It’s always been easy to whine about not having enough time, especially with a full time ‘job’ job. Now I’m drawing and brainstorming whenever I find a minute, and I love it. I feel more alive than I have in years. The big moments, the big successes, are great. But getting there is at least half the fun. “Getting there is at least half the fun.” Yes, I think you’re right about this, but it’s so easy for me to forget it. The satisfaction of accomplishment, of really studying something and improving more and more, is where a lot of my enjoyment ultimately comes from. But it’s so much easier to get way too obsessed on the wished-for final result. Congrats on giving more time to your cartooning. It sounds very fulfilling!